You may know Eureka Springs as a romantic Victorian village or the spot for a wild night out with the girls. Here is something you may not know: Kids LOVE Eureka Springs! Eureka Springs, Arkansas is a funky, fun town with a whimsical landscape and colorful characters around every corner. Twisty streets connected by hidden stairs and magical springs make Eureka Springs an enchanting getaway for Spring break or Summer Vacation. Discover the magic and mysteries of the mind with Eureka Springs’ Intrigue Theater. For the last 6 years Sean-Paul and Juliana Fay have performed their tribute to the Golden Age of Magic and the Ghostly Spiritualist movement of the early 1900s at Intrigue Theater. This performance quickly became a favorite of visitors and locals. Get your tickets online to reserve premium seats. Document real Ghost Adventures with a Haunted Hotel Tour. If ghosts are not your thing, you can still see the hidden side of Eureka Springs with a Downtown-N-Underground tour. Get your tickets to this and other great Eureka Springs attractions online at ReserveEureka.com. Listen to big cats roar at Turpentine Creek Wildlife Refuge. Turpentine Creek Wildlife Refuge is a 459-acre wildlife refuge for abused, abandoned, and neglected big cats. The Eureka Springs, Arkansas, refuge houses over 100 animals, not all cats! The ‘Education Station’, located in the Gift Shop, contains items to explain our mission, including a variety of ‘touch and feel’ and visual displays, chewed up tiger toys, and facts regarding the Big Cats. Keeper Talks are conducted on weekends and holidays. Explore downtown Eureka Springs. There is nothing like taking a walk through the twisting streets of Downtown Eureka Springs. There are many delightful shops, beautiful murals, and hidden staircases and springs. If you want to learn while you explore, don’t miss the Downtown-N-Underground walking tour – Kids 16 and under are FREE. Eureka Springs is also home to many unique festivals and parades. Check out our Calendar of Events for free music in Basin Spring Park and other great downtown fun! Zip through the Trees! Ozark Mountain Ziplines in Eureka Springs offers the perfect way to explore the beauty of the Ozark Mountains from a unique perspective, the treetops! This exhilarating Zip Line Canopy Tour is set right in the heart of the beautiful Ozark Mountains. It is fun for all ages! The Eureka Springs Region is surrounded with many fun, inspirational and unique things to do. 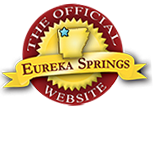 For a complete list of Eureka Springs Attractions, Lodging and more, please visit www.EurekaSprings.com. Don’t miss our Eureka Springs Calendar of Events for up-to-date information on events. This entry was posted on March 22, 2018 by service424 in Attractions, Basin Park Hotel, Family Fun, Fun Downtown, Ghosts, History, Road trips, Things to Do and tagged cats, downtown eureka springs, downtown-n-underground, eureka springs kids, Fun, ghost tours, turpentine creek, ziplines.